The fifth installment of “Hazel’s Diary” is in today’s Kansas City Star Sunday paper. Because Hazel is a farm girl, I based this month’s block on the traditional “Corn and Beans” block, changing it a bit and adding the wildflower applique. You can read more about the 1952 Bevier Homecoming in Hazel’s Diary beginning HERE. For complete assembly instructions and applique templates, you can pick up the May 17th Kansas City Star Sunday paper and check out the House & Home section, or download a PDF file for this month’s installment HERE. 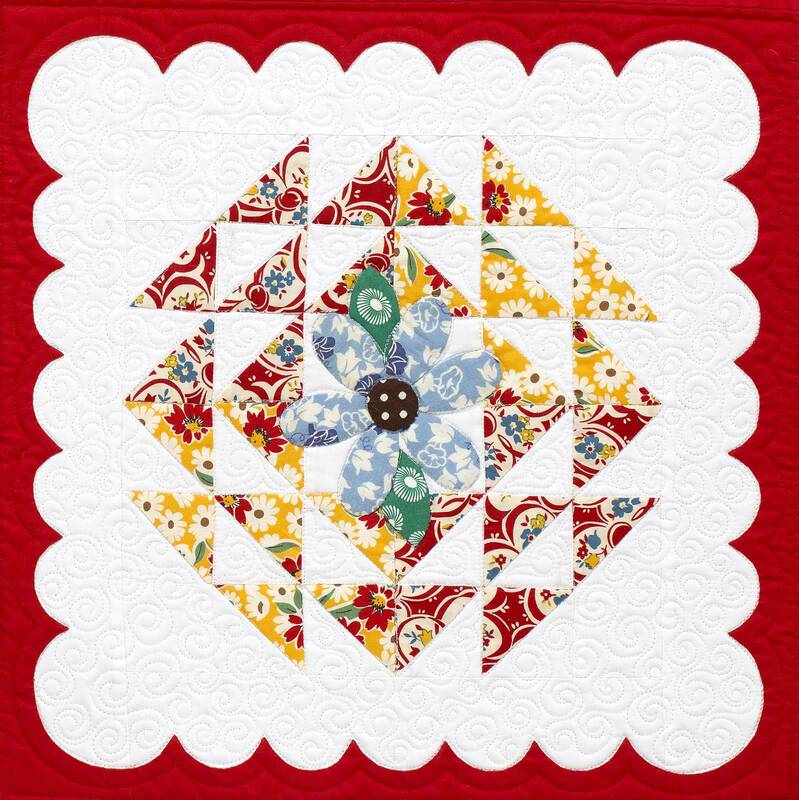 If you missed my earlier post, tune in tomorrow, when I’ll be a guest on Pat Sloan’s American Patchwork & Quilting Podcast, talking about the diary project and the “Hazel’s Diary” quilt.